Dog lovers will be enchanted with these charming Jack Russell Terrier Address Labels that showcase the agility and playfulness of this breed of dog. Often with definitive markings that set them apart they may have a patch over an eye or other markings that make them especially unique. With their medium size and generally white and brown fur they are a friendly and loyal pet that is loved by all. These four joyful poses showcase their activeness and show how much fun they can be. 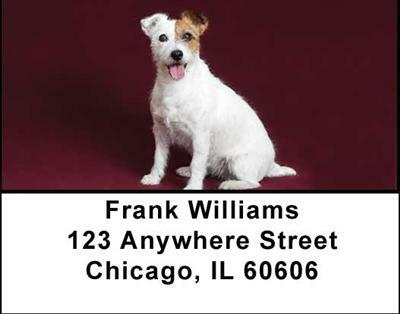 You will be inspired every day with your Jack Russell Terrier Address Labels and want to own one if you don’t already.